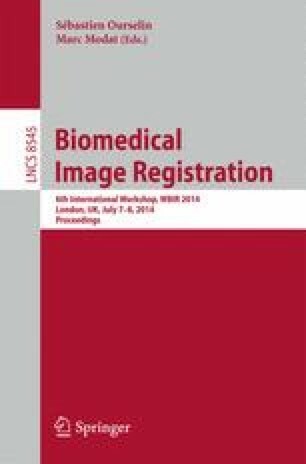 Accurate registration of retinal fundus images is vital in computer aided diagnosis of retinal diseases. This paper presents a robust registration method that makes use of the intensity as well as structural information of the retinal vasculature. In order to correct for illumination variation between images, a normalized-convolution based luminosity and contrast normalization technique is proposed. The normalized images are then aligned based on a vasculature-weighted mean squared difference (MSD) similarity metric. To increase robustness, we designed a multiresolution matching strategy coupled with a hierarchical registration model. The latter employs a deformation model with increasing complexity to estimate the parameters of a global second-order transformation model. The method was applied to combine 400 fundus images from 100 eyes, obtained from an ongoing diabetic retinopathy screening program, into 100 mosaics. Accuracy assessment by experienced clinical experts showed that 89 (out of 100) mosaics were either free of any noticeable misalignment or have a misalignment smaller than the width of the misaligned vessel.